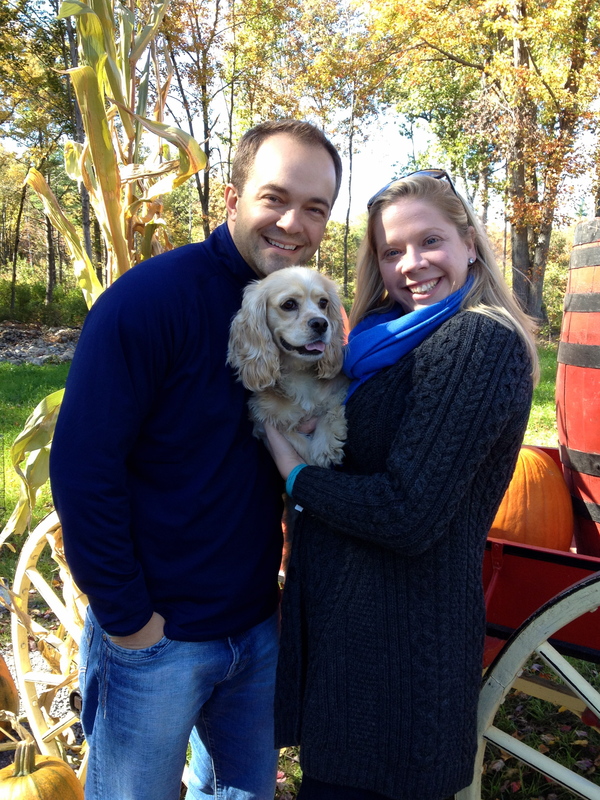 In honor of Sadie’s 2nd birthday, the Pearson and the Cipicchio families ventured out to Nashoba Valley Winery and Schartner Farm to enjoy all the seasonal fun New England falls have to offer….apple picking, pumpkin patches, wineries seasonal beers, hayrides and breathtaking foliage. 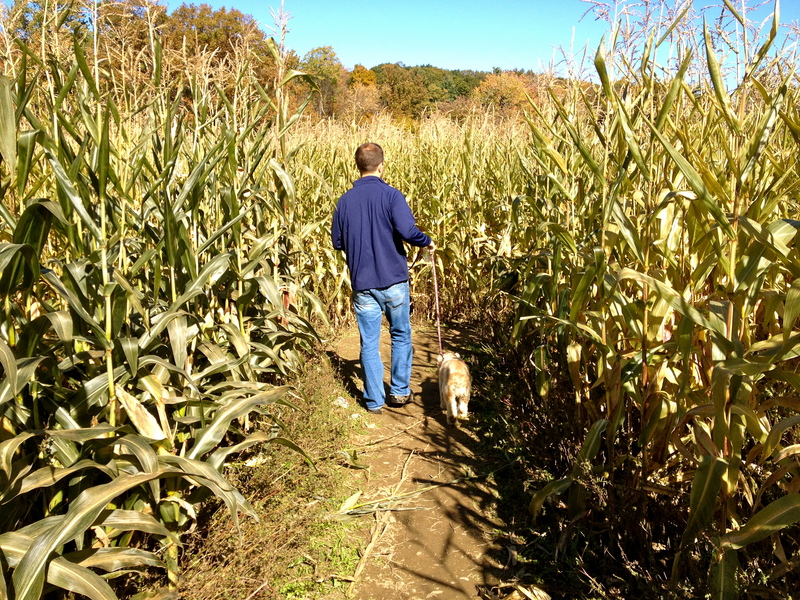 Upon arriving at Schartner, we were greeted by the sounds of the Salty Dogs (a country band) and then ventured into the farm’s impressive and challenging corn maze – definitely check out the photos of this corn maze on the website and you will understand what I am talking about. 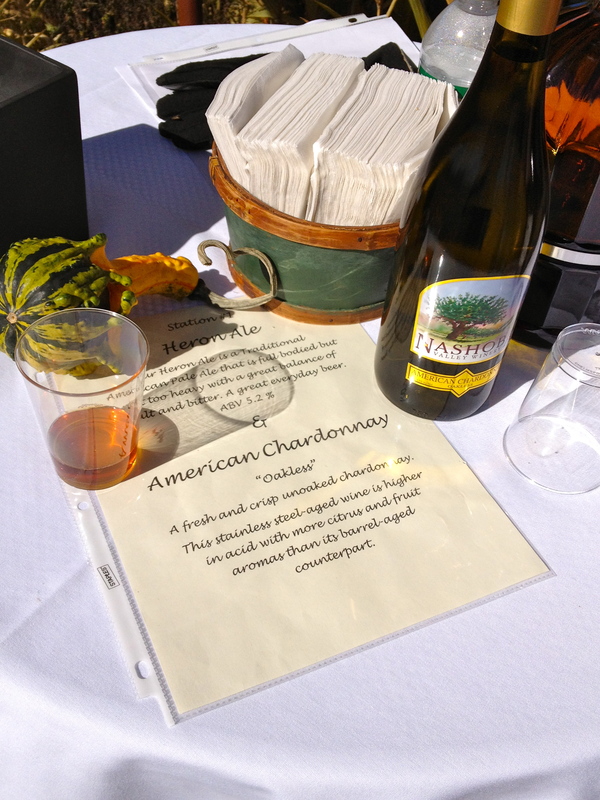 The best part…..
beer and wine tastings popped up along our adventure in the corn maze! They served all locally brewed beers and wines. 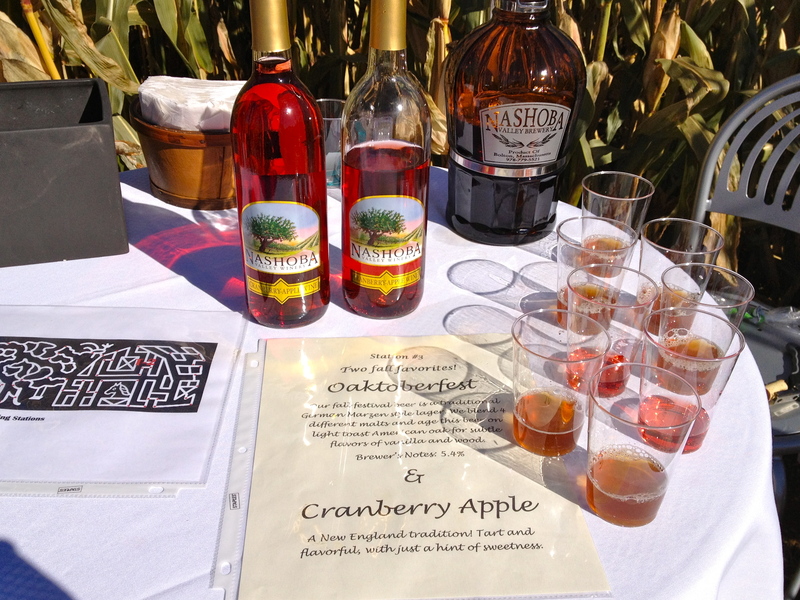 My favorite was Nashoba’s Cranberry Apple and Strawberry Rhubarb. 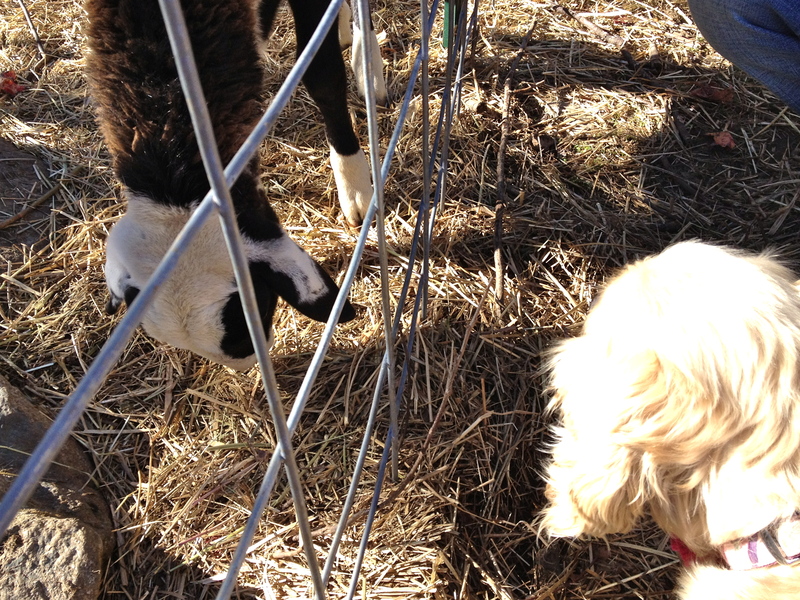 Then Sadie wanted to say hi to the sheep, the goats, the sheep again and the chickens. 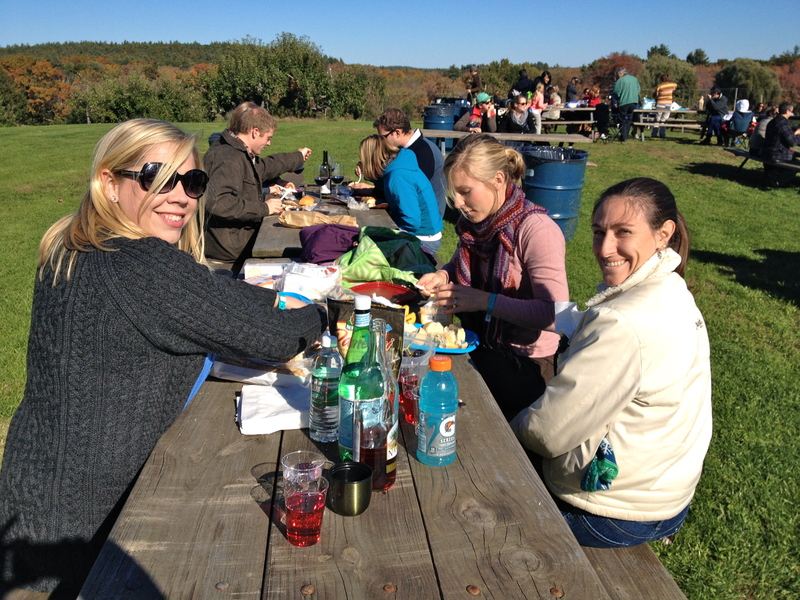 We jumped back into the car and drove less than a 1/4 mile to the winery for lunch and another set of tastings. 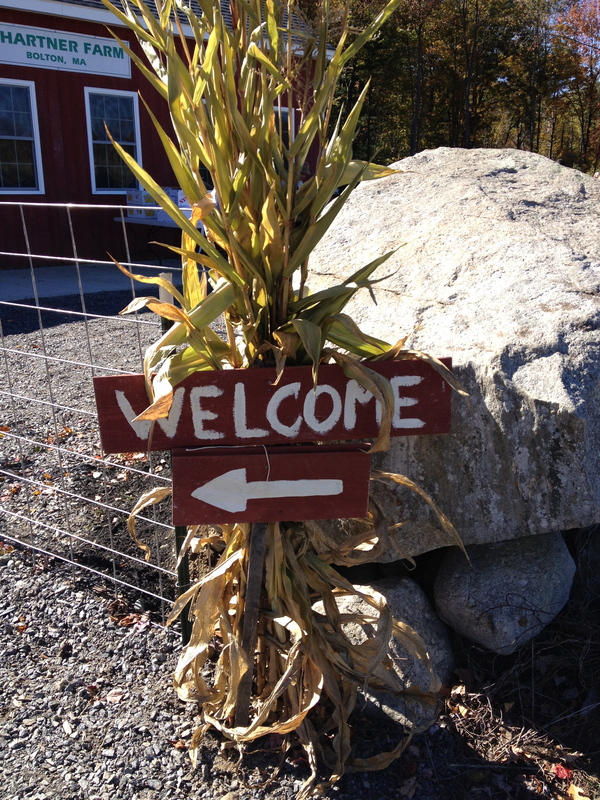 We enjoyed a bottle of Nashoba Valley’s finest and the fruit, cheeses, and fresh bakery bread we packed, while taking in our beautiful surroundings. The setting was something out of a movie, and it reminded me of how lucky we are to live in such a beautiful part of the country. 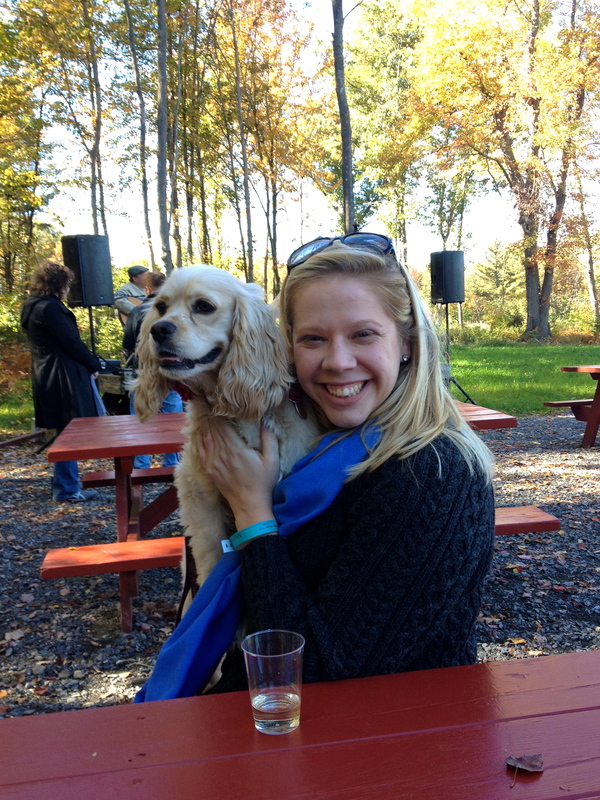 We participated in the last set of tastings, played with Sadie & Sammy (the Cipicchio’s adorable Boston Terrier) in the apple orchard and then headed back to Boston. 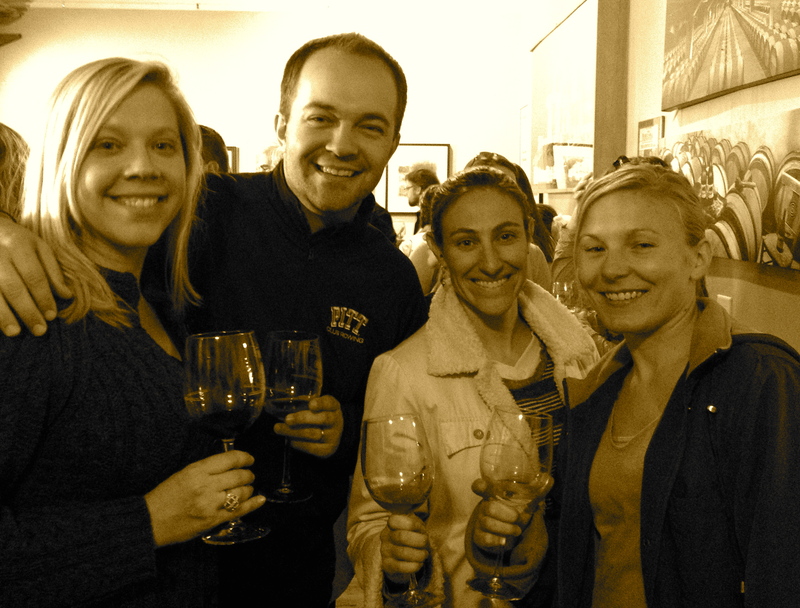 Special thanks to Maria, Michelle and Sammy for joining us for this special birthday celebration. A toast to many more memories together. 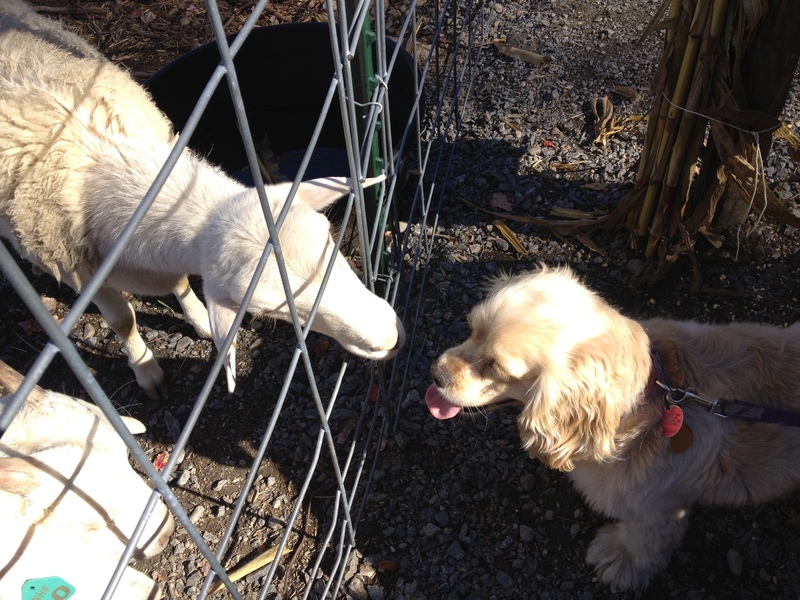 Posted in Jubilee, Puppies & SparklesTagged Beer Tasting, corn maze, Fall, Foliage, Nashoba Valley Winery, new england, puppies, Schartner Farms, Wine TastingBookmark the permalink.